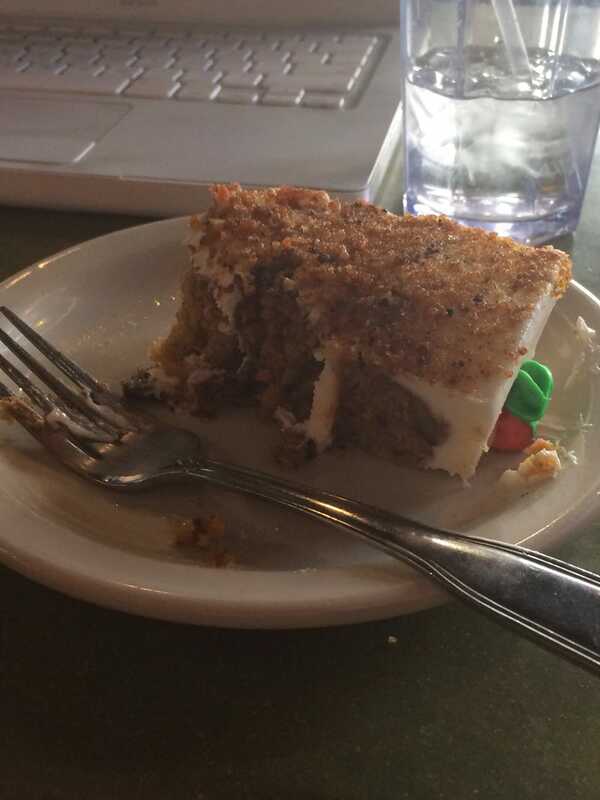 Carrot cake, you didn't stand a chance. Neither you NOR your fake marzipan carrot on top. Nom nom nom.